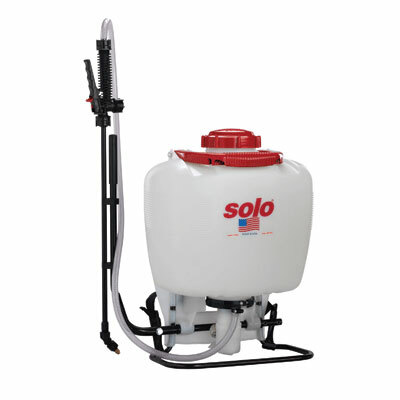 Connecting rod activated piston pump allows the Solo 425DX to produce a wide pressure range of up to 90 psi, (optional plug required to obtain 90 psi). Easily and effectively handles disinfectants, fertilizers, herbicides, pesticides, and formulations for tree, shrub, and plant protection (clean sprayer between each use). Ideal for use on larger jobs. Internal Viton seals insure long life and durability. Lightweight, non-corrosive high density, polyethylene tank with UV inhibitors provides unmatched durability and ultra-violet protection. Contoured design, padding and adjustable harness provide real comfort. Pump handle can be switched for left or right hand operation. Recommended for liquid chemicals only.